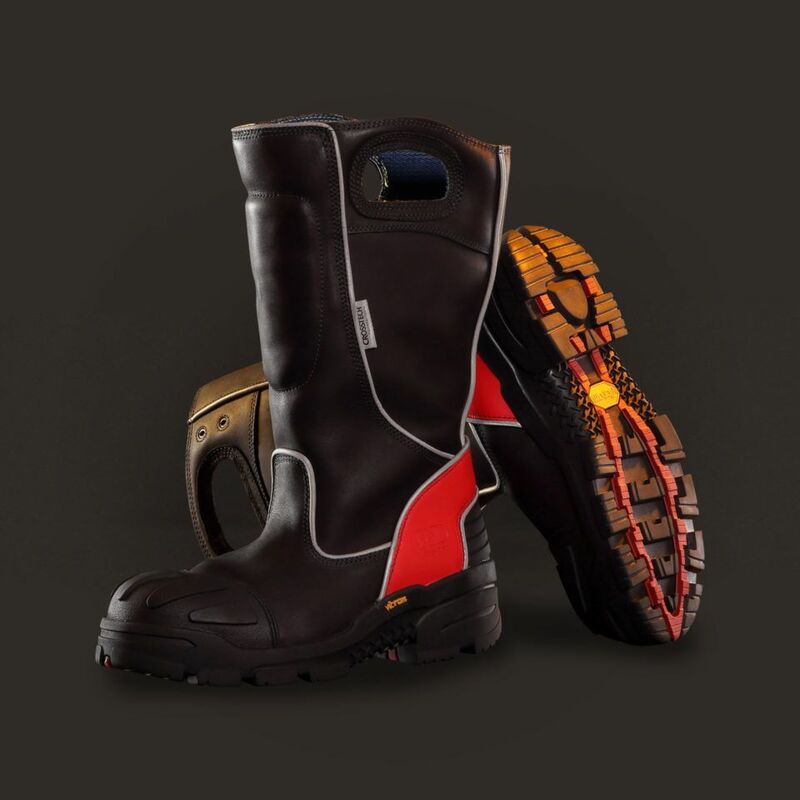 The Fire-Dex Leather Boot provides the protection of a leather fire boot with the comfort of an athletic shoe. With an orthotic engineered sock liner, Multi-Density Footbed, Elastomer Performance Gel, Energy Return Polyurethane, and EVA Memory Foam - you will be able to work in these boots all day without foot pain distracting you. The VibramÎ FIRE&ICE_ outsole with articulating louvers provides traction in any situation. From heel to toe VibramÎ FIRE&ICE_ Compound gives the heel guard and toe guard unstoppable protection, keeping them from wearing out even before the sole does. Let the Fire-Dex Leather Boot help you work safer, longer, and more comfortably. Meets all NFPA 1971 footwear requirements and is CSA Compliant.